When news of Germany’s invasion of the Soviet Union reached Stefan Zweig, his response was one of unyielding sorrow. Born in 1881, the celebrated novelist and biographer had already endured a series of profound upheavals: at thirty-two, his Jewish ancestry had forced him to emigrate from Vienna, while the atrocities of the First World War had significantly diminished his belief in the superiority of European culture. Now, as he confronted the brutality of the Nazi regime and the failures of the Weimar experiment, Zweig concluded that he had slipped into the third—and final—of his lives. “My generation has become superfluous,” he wrote from New York City. “We have been a failure.” The hopelessness with which Zweig associated Nazi aggression was soon to overcome him: together with his wife, Lotte, he committed suicide in the isolated Brazilian village of Petrópolis in 1942. Zweig was sixty-one, Lotte but thirty-four. 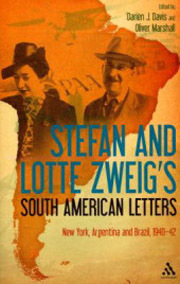 Ultimately, Stefan and Lotte Zweig’s South American Letters reads as a cruel story of dislocation and despair: from their arrival in Rio de Janeiro to their dual-suicide in Petrópolis two years later, the Zweigs were unable to relinquish themselves of the knowledge that the people of Europe—once “pleasant and cultured”—were engaged in an endless conflict for racial and territorial supremacy. 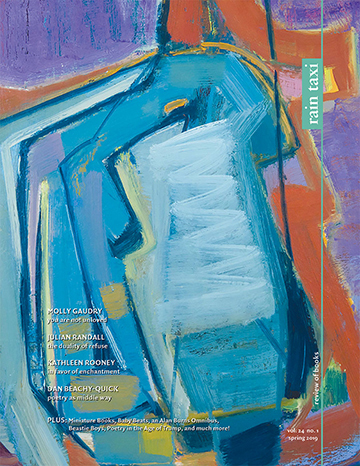 Through it all, however, the Zweigs continued to write, approaching their correspondence as a form of therapy—one which allowed them, rather like the tortured characters of W. G. Sebald or Joseph Roth, to come to terms with what Stefan referred to in 1942 as the “incertainty and isolation” of war. Their pact complete, the Zweigs succumbed to their desolation—and to the desolation of a generation robbed of its homeland.